Leapers are happy and most ordinary people are sad. The extra day of the year makes us work one more day for no extra pay. February 29 only comes once every 4 years so I think it is not the end of the world. February 29 is not just an extra day of the year, though. This day is necessary to keep the calendar year synched with the astronomical year. It is a prominent day that is known for its astonishing and mysterious events. Here are some of the most jaw-dropping facts that will make you reconsider your relationship with that extra day of the year. Sir James Milne Wilson who was Premier of Tasmania (1869 – 1872) was born on February 29, 1812 and died on the same day in 1880. Could you imagine this coincidence? It was not so surprising if we talked about the ordinary year. Astrologers claim that a person born under the sign of Pisces on February 29 boasts unique skills and talents. They have different traits and their mindset is totally unpredictable. Well, I personally cannot approve this fact because I know nobody who was born on February 29, and you? Some sources say that the chance of being born on February 29 is 1 in 1,461 while others claim it is 1 in 1500. Either way, the chance is very low. No wonder, people born on a leap day have unique personality traits and talents. Whether they planned or it was just a coincidence, the Henriksen family from Norway is known for their official record for the most number of kids born in a family on February 29. Karin Henriksen gave life to her daughter Heidi on February 29 in 1960, her son Olav on February 29 in 1964, and her 3rd child Leif-Martin on February 29 in 1968. Awesome! 5. February 28 or March 1? People born on February 29 have trouble celebrating their birthdays in common years. It is believed that people born before noon should celebrate their birthdays on February 28, and those born after noon celebrate on March 1. However, in some countries celebrating a birthday earlier is a bad luck so March 1 is their perfect day. In China, though, the legal birthday of a leapling is February 28 and in Hong Kong is March 1. Perhaps, it must be a personal choice only. During Julius Caesar’s reign, February had 30 days while August had 29 days. But when Caesar Augustus became Emperor, he decided to add 2 days to August (perhaps because it was his month) and February became shorter. In Ireland, February 29 is a traditional holiday when a woman proposes to a man. The question is, why to wait 4 years to propose your boyfriend if you can do it any day? In 1288 Scotland had a law that allowed women to propose men. If men refused, he had to pay a considerably high fine. When it comes to Bachelor’s Day, a romantic comedy Leap Year comes to my mind first. This movie is about a girl who travels from the US to Ireland to propose to her partner. It is guaranteed to make you laugh and cry at the same time. February 29 deserves its place in our calendars, so let’s respect and love this day just like we love the other days. Whether it is your extra working day or it is just an extra day for fun, enjoy it to the fullest. 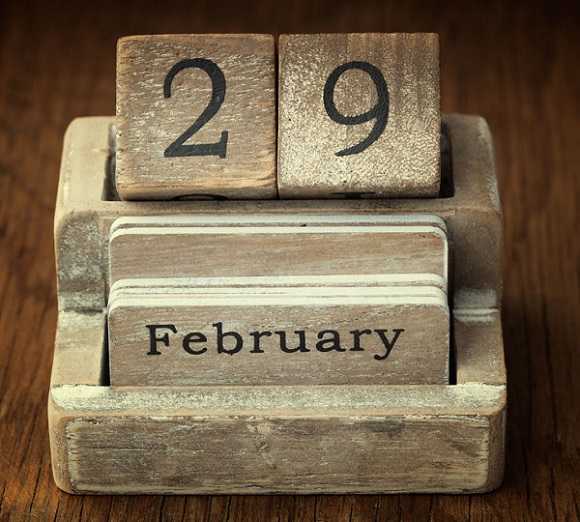 Do you know any other facts about February 29?